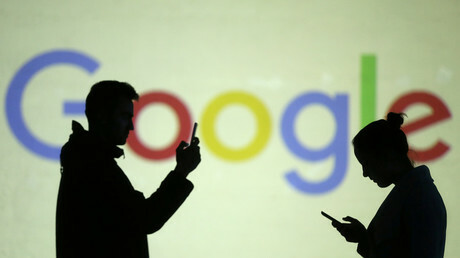 An Australian court has given a man the go ahead to sue Google for defamation after image search results and autocomplete predictions linked him to underworld crime. Milorad “Michael” Trkulja was shot in the back by an unknown gunman in Melbourne in a 2004, at a time when there were a series of underworld killings and gangland activity in the city. The crime was never solved. In 2012, Google was ordered to pay Trkulja AU$ 200,000 (US$ 152,000) in damages after he successfully argued that he had been defamed by Google search images that implied he was part of a criminal gang and had been the target of a professional hit. In that decision, a jury found that Google failed to act when Trkulja’s lawyers wrote to them, demanding action over the “grossly defamatory” content. The judge at the time compared Google to a library or newsagent which has been previously held accountable as a publisher in defamation case. Trkulja now says Google searches of his name and phrases like “Melbourne underworld criminals” still generate defamatory text, autocomplete predictions, and images linking him to convicted mob figures, according to the Australian Broadcasting Corporation (ABC). Trkulja launched further proceedings against Google, which were initially blocked by a Victorian state court, but upheld on appeal by Australia’s High Court on Wednesday. The court found some search results for Trkulja “had the capacity to convey… that the appellant was somehow associated with the Melbourne criminal underworld.” Trkulja argues that, as an entertainment promoter, his online reputation is integral to his work, which he claims has been seriously damaged as a result. Google tried to block the High Court case by denying the claims that they had defamed Trkulja, and argued it had simply shared content published by others. They also argued that Trkulja was not defamed, as not all of the images were of criminal figures. A former Victorian Chief Commissioner of Police and Marlon Brando in his role as the Godfather were among the search results. The lawsuit is the latest case in Australia’s ongoing legal battle over whether search engines can be considered “publishers” under defamation law, even if they do not create content. A Victorian state court had ruled against Trkulja taking further against Google, however Australia’s High Court has now upheld an Trkulja’s appeal, paving the way for his defamation case.